Chamaripa shoes have been in the business of selling top quality elevator shoes online. They focus on helping the average man achieve more height by utilizing the additional elevation provided by the shoes that are hidden in the insoles. They are made from imported and quality good and are sold at a reasonable price. With the trends changing day by day, Chamaripa shoes have been competitive to keep up with the fast-paced world of fashion. 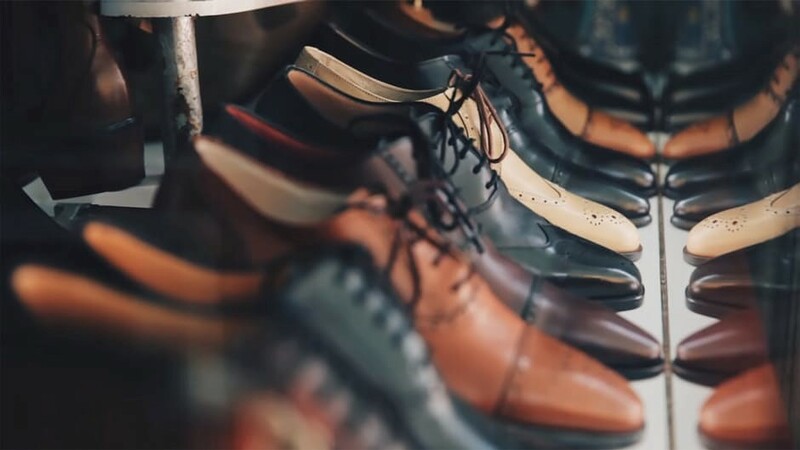 Chamaripa shoes offer different designs of shoes for casual wear with lifts to dress shoes that add height, and even business shoes that are versatile enough to be worn daily and outside the office. Furthermore, they also have boots, summer sandals, and other shoes for men and women. Description: This stylish dress shoe is made of brush-off leather with pigskin lining. 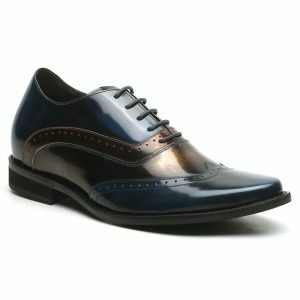 The design features oxford shoes with a wingtip toe cap, accentuated with the two-tone color combination of either brown, rust, and bronze or blue, rust, and bronze with a shiny finish. Review: This pair of elevator shoes can be worn for all seasons because of its versatility and use of the material. The said pair can be worn on special events such as weddings and even at the office when paired with a gray or navy blue suit. The most interesting aspect of this design is the playfulness of the style, but still looking classic and easy on the eyes. Description: This pair can add 2.6-inches to the wearer. This simple oxford shoes can be worn when attending and wedding and other formal events like banquets and dates and is made of brush-off leather on the exterior and pigskin as the lining. It has an intricate laser cut design on the toe cap that makes this pair more eccentric. Review: This pair of elevator shoes can be worn both dressed down and dressed up. Because of the simplicity in its design, the shoes are the perfect accessory whenever you feel like you do not want to make an effort to dress nicely while still looking dapper and stylish. 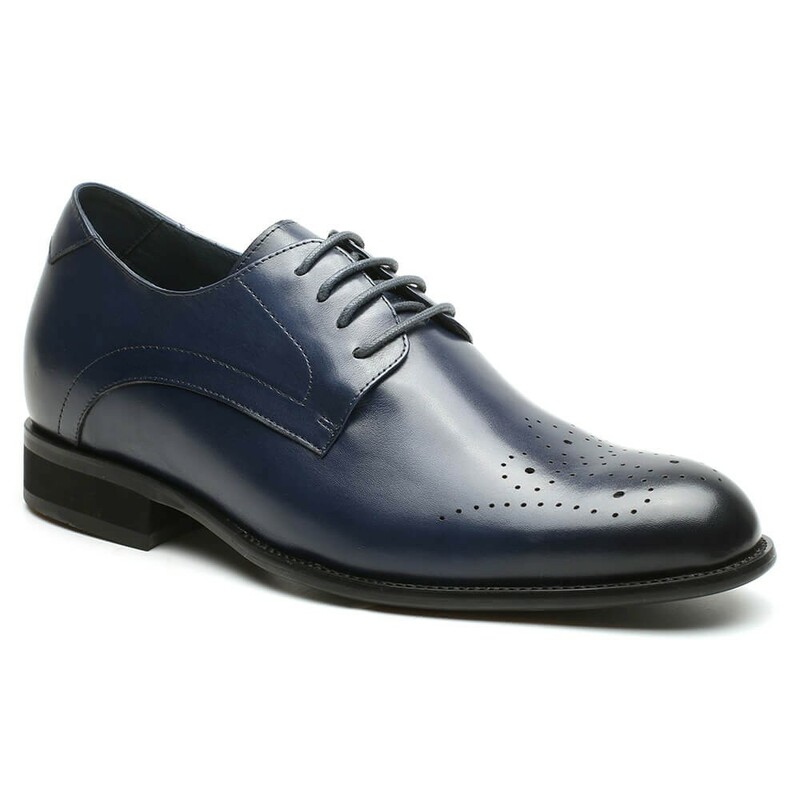 Because of the colors available, the Blue Height Increase Dress Shoes Leather Formal Shoes With Lifts Men Tall can both make you tall and stylish without even trying or exerting too much effort. Description: Simple. Sleek. Casual. This pair is a combination of three colors: black elastic fabric is the main hue red leather accents found on the heel side, with rubber. 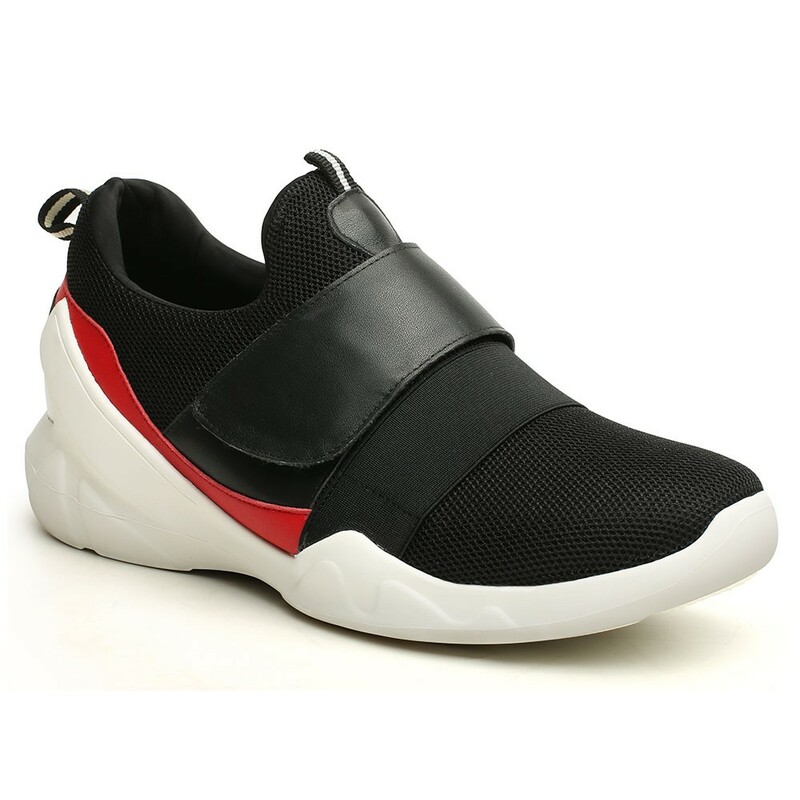 Review: These slip-on chunky sneakers can compete with the latest trends in sneakers because of its elegance and casualness that makes this pair versatile. It can be worn at the gym as well as a casual stroll in the park while wearing chino shorts and a simple crew neck t-shirt. The beauty of this design is in the materials used because it is breathable and stylish at the same time. Description: The stylish shoes is made of calfskin leather and pigskin leather as the lining. This sporty shoes has a scaly design available in blue, silver, and black with a stylized shoe lace detail and rubber outsoles. Aside from that additional height, this pair is also available in three colors of blue, silver, and black. 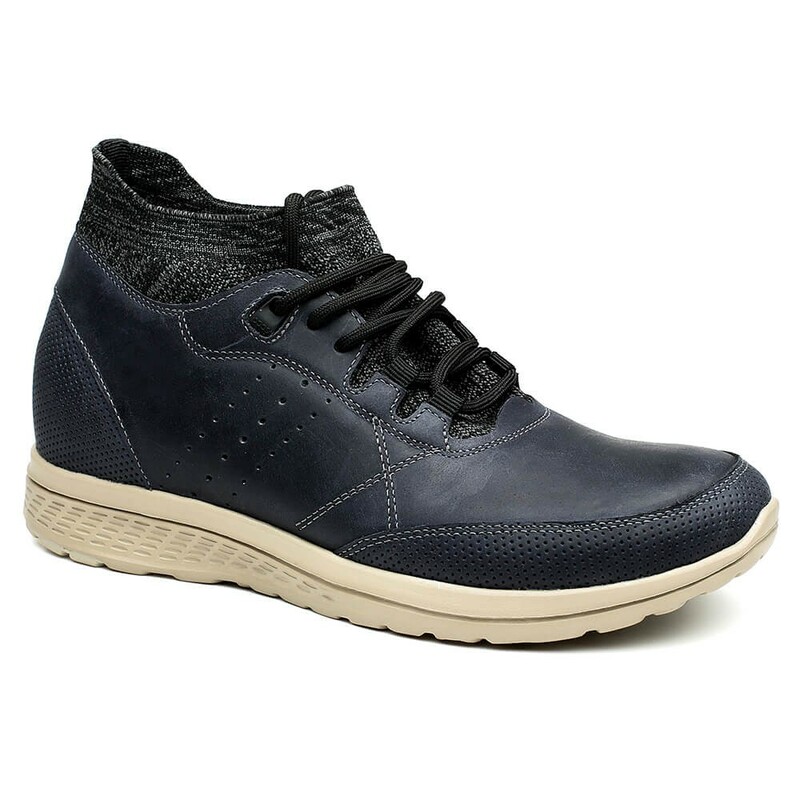 Review: If you are looking for casual shoes that has an artistic or creative quality in terms of design, the Heeled Shoes For Men Blue Cheap Skate Shoes Mens Hidden Height Skate Shoes may be the right fit for you. The facade of it gives an instant style where you can pair it with a monochromatic look. This shoes are unique and bold in design, and is best worn by artists or individuals who work in a creative environment or in advertising. Once you wear them, you will project a playful personality that will instantly help you gain more confidence especially when you are not gifted with height. Description: The upper material is made of horsehide fabric, while the lining is made of pigskin leather. It is knee-length in height and adds additional 2.76-inches in height ones you wear them. You can choose between deep blue and beige and it can be used daily because the design is casual and masculine and fits casual clothing. Review: This type of design has been reinvented multiple times and have been in the market long enough, which is a testament to its selling prowess. The sturdiness of the materials used in this type of shoes translates to the longevity of the style, and juxtaposed this Chamaripa shoes has the ability to sell like hotcakes. Moreover, the price point is at a reasonable range and can be bought by men who want to aspire for more height while keeping their cool persona. This design is best paired with washed out jeans and casual shirt.